By guest blogger Anna Hackman. Anna is a sustainability consultant, helping businesses to green their profits, and holds a LEED (Leadership in Environmental Design) AP certification. She is also the editor of Green Talk, an eclectic green-living website with topics including green living, green building, the 3Rs, green business, and organic gardening. 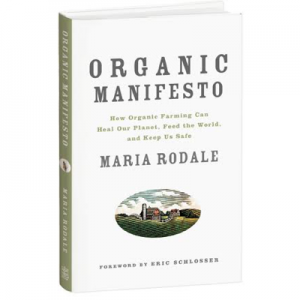 She has visited the Rodale Farm and thinks it is a piece of heaven. I love the holiday season with its festive spirit. We shop for holiday gifts for our loved ones, search for the perfect Christmas tree to adorn our homes, and ring in the New Year with hope for a better year to come. What could be more fun? Unfortunately, it is one of the least kindest seasons of the year to Mother Earth. In fact, Americans throw away 25% more trash from Thanksgiving to Christmas. Just think of all the trash that is accumulated from the holiday gifts we give: Wrapping paper, tissue paper, ribbons, greeting cards, gift tags, and cardboard boxes. So how can we change the joy of giving to include Mother Earth? Let’s first start with wrapping paper, because this is where all the trash begins. * For the Minimalistic look, consider using just a white cardboard box with a colorful ribbon. It is clean and neat and very modern. For an extra touch, consider putting a sprig of lavender or rosemary in the middle of the bow. * Use the funny pages as wrapping paper. It shows you have a sense of humor! * Have any leftover yards of a fabric? Ditch the wrapping paper and consider making your own gift bags. * Not into sewing? 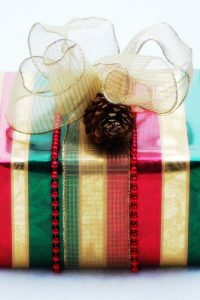 Consider purchasing ready-made holiday gift bags from Bobo Wrap or Fabricwrapper. * If you really want to look like everyone else, consider buying post-consumer recycled or tree-free holiday wrapping paper. For some ideas where you can buy wrapping paper, check out Seltzer Goods, Ecosource Papers, or Bloomin. * Consider using old maps or sheet music to give your holiday gifts a whimsical look. * Get your children involved, and decorate plain brown paper–wrapped boxes. Grandma and Grandpa would appreciate such a work of art. Or use your kids’ artwork to wrap holiday gifts! Just think, now you have a use for the zillions of artwork pieces that come home every week! * Make your own wrapping paper out of butcher paper. See here. * Use scarves and dishtowels as wrapping paper. Everyone can reuse those items. * Use vintage handkerchiefs, napkins, dishtowels, and washcloths in lieu of wrapping paper. Your local thrift shop is full of those items. * Use your kids’ artwork to wrap holiday gifts! Just think, now you have a use for the zillions of artwork pieces that come home every week! Whew! That was a laundry list of greener options to decorate your holiday gifts. What creative ideas do you have to slim that size 22 trash footprint to a comfortable size 8? By the way, looking for some greener gift ideas? 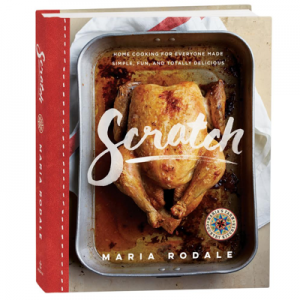 Be sure to check out Nickel Pincher: Holiday Gifts From Summer Gardens or Rodale.com: 18 Creative, Green Gift Ideas—No Trip to the Mall Required on Rodale.com. I’ve done many of the above, including stenciling on brown grocery bags as wrap (though of course now use sustainable/reuseable grocery bags). I have also cut pictures from magazines/catalogs and decoupaged with non-toxic glue onto shoe boxes. But my recent favorite is simply using the shopping bags you get from stores…particularly since many of them are high quality with rope handles and glossy designs. In my family, nice bags and boxes then get reused for future gift-giving or other uses again and again. When I was buying gifts, I had stopped and started buying gift cards to give. Now I buy nothing and I plan get-togethers and feed people. They like that much better, I think. I also nixed cutting down trees every year and went with a artificial tree with lights already on it and if I needed the smell of juniper, spruce or pine in the house, I got some essential oils and place it in and around rooms in small glass bowls or infusers, that includes cinnamon oil, or I got some cinnamon scented pine cones. @Sue, I do the same thing. I hold onto gift bags and just reuse them. @Donna, I like how you are conserving, but can I make a couple of suggestions? I love gift cards too but what do you do with them when they are no longer in use? Most stores just throw them away. More plastic in our landfills. Many store have online gift certificates which is emailed to your recipient or check out Giiv (http://www.giiv.com/) where you can text your gift to them. Giiv has a lot of great text gift cards. I totally agree with you about cutting down trees. However, there are alternatives to the plastic tree such as renting or buying a tree which can be planted in your yard or someone else. The buy a tree and plant in someone else’s yard service is dependent upon where you live. In Delaware, you could buy a live Christmas tree and see if your town will plant it in one of their parks. See here for more ideas. (http://www.green-talk.com/2008/12/12/buy-a-rea-christmas-tree-just-like-charlie-brown/) This article explains why I am not a fan of plastic trees. I know this is a very personal decision and I applaud your efforts at looking at the big picture to see how you can tread lighter on the Earth. Thanks for sharing to inspire others to look at their footprint too. I had a few comic books that had lost their value after being damaged in shipping. After taking out the staples, they made great wrapping paper. Each sheet is just the right size for wrapping a book or CD. The paper is heavy, shiny and colorful, so the presents look great too.